At RRC, our employees are as distinct as our offerings. We want to place a SPOTLIGHT on one of our talented, diverse, and experienced staff members. 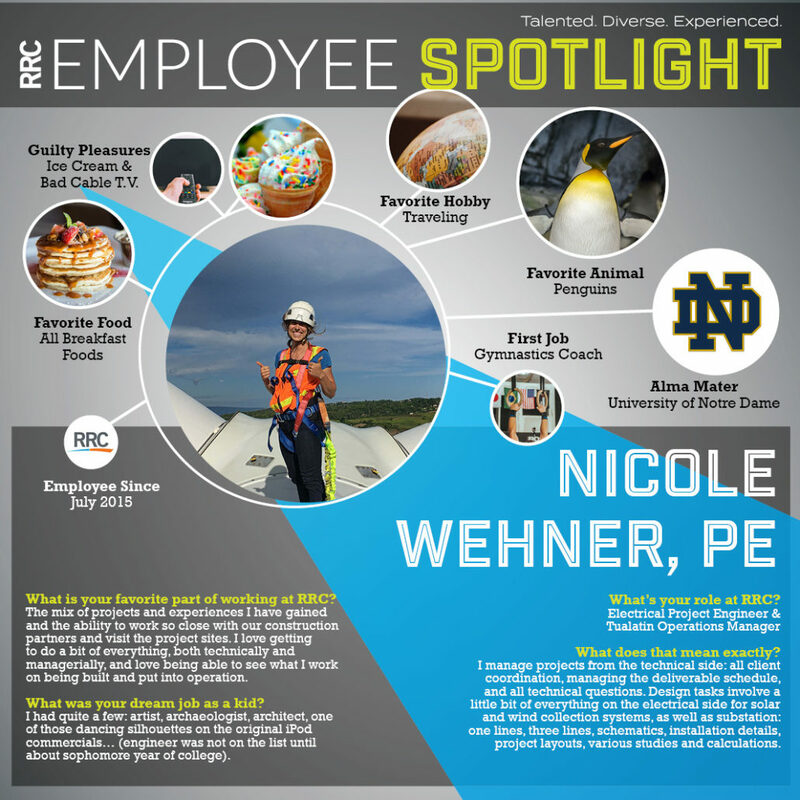 Meet Nicole Wehner, PE, an RRC Electrical Project Engineer and the Tualatin, OR Operations Manager.